Samsung Galaxy S10 and Galaxy S10+ Press Renders Leaked - Playfuldroid! On Feb. 20, Samsung will be holding its Unpacked event to announce the Galaxy S10 series which includes smartphones such as Galaxy S10, Galaxy S10+ and Galaxy S10e. WinFuture.de has leaked the official press renders of the Galaxy S10 and Galaxy S10+ smartphones. 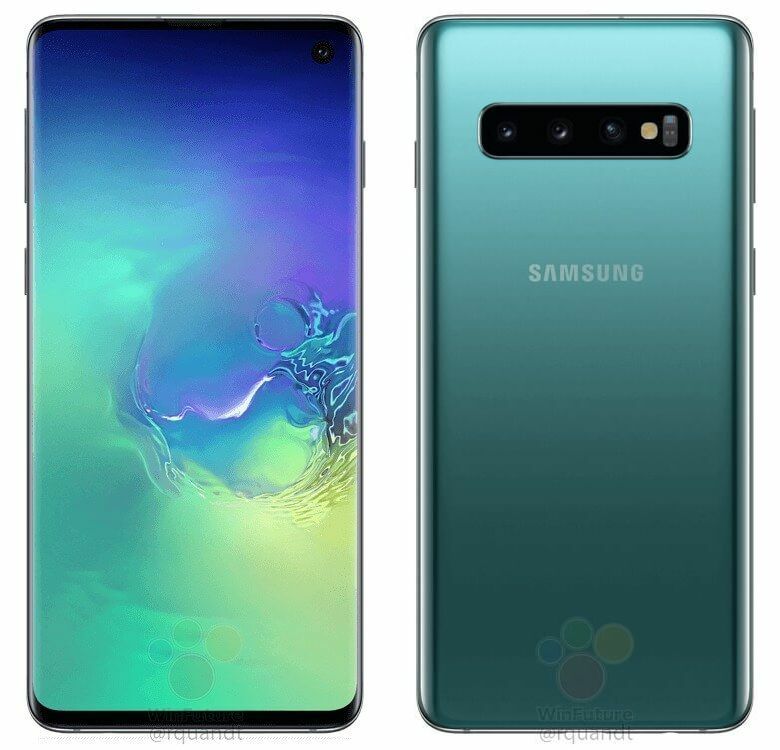 The Galaxy S10 and Galaxy S10+ smartphones can be seen in colors like Midnight Black, Prism White and Emerald Green. These variants are expected to release in the European markets. Europe is also expected to receive a Blue model, but it won’t be made available at the launch. 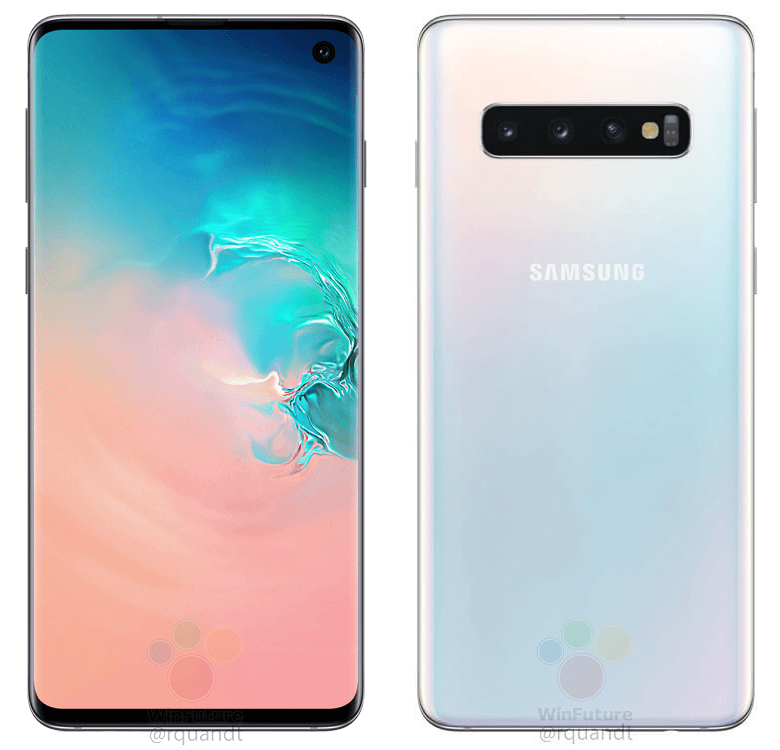 The Galaxy S10 and Galaxy S10+ press renders show that both phones are fitted with curved AMOLED screens with Infinity-O display design. 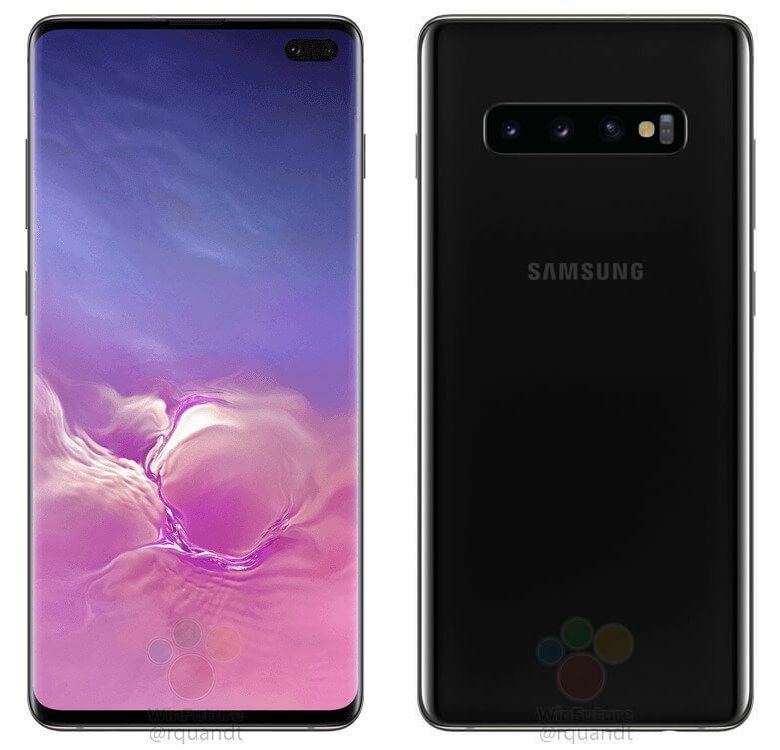 The Galaxy S10+ has a pilled shaped cutout to house dual front-facing cameras on the top-right corner of the display whereas the Galaxy S10 has a single selfie camera cutout on the top-right corner. The Galaxy S10 and S10+ are both equipped with in-display fingerprint scanners. The backside of the smartphones features triple cameras along with LED flash and heart rate sensor. The S10 and S10+ will respectively feature 6.1-inch and 6.4-inch displays. Depending on the market, these phones will be either powered by Snapdragon 855 chipset or Exynos 9820 SoC. The S10 will be available in 6 GB and 8 GB RAM options and 3,300mAh battery whereas the S10+ will be coming with up to 12 GB of RAM and 4,000mAh battery.